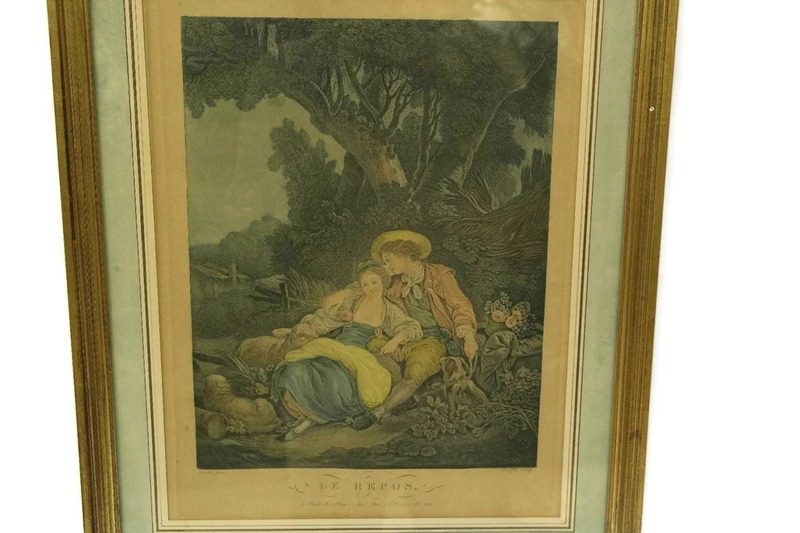 French Antique Engraving Le Repos by Bonnefoy after Boucher. 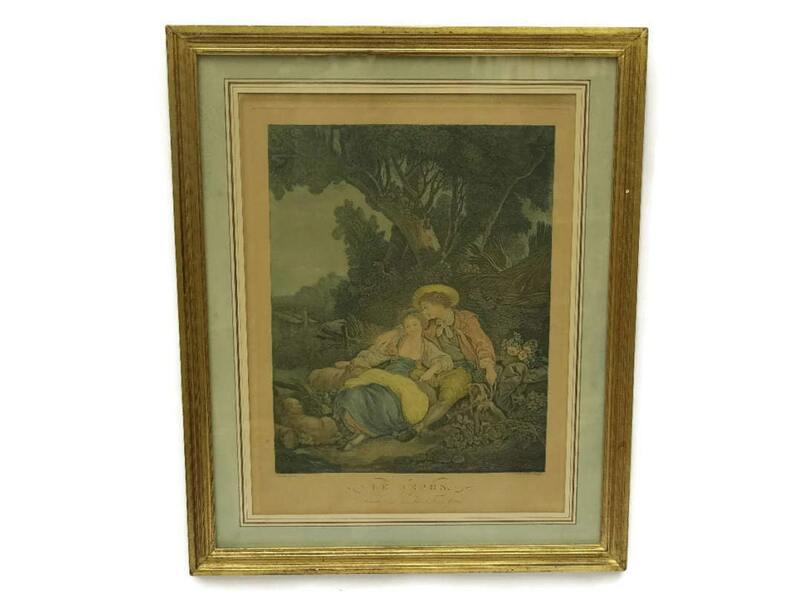 A charming antique French engraving entitled "Le Repos" (Resting) by the 19th Century French engraver Bonnefoy after a painting by Boucher. 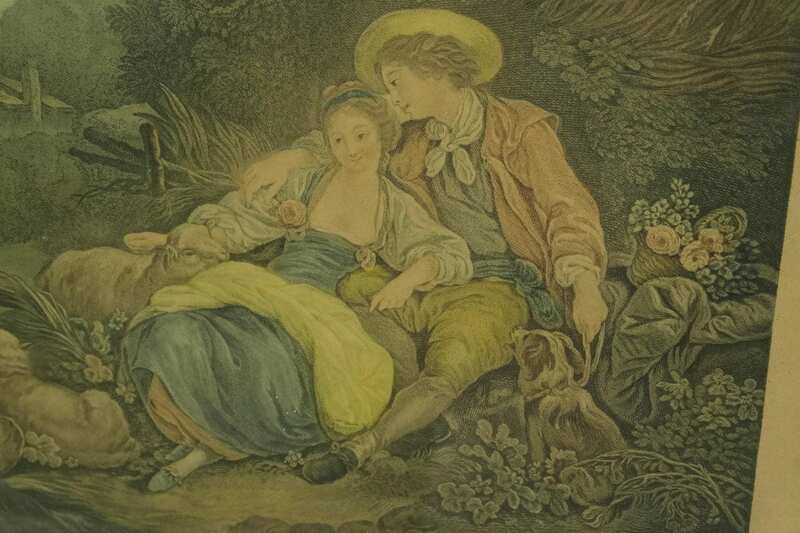 The hand-coloured print features the image of a courting couple resting under the shade of a tree in a pastoral setting. It has been printed with the title and names of the artist and engraver. 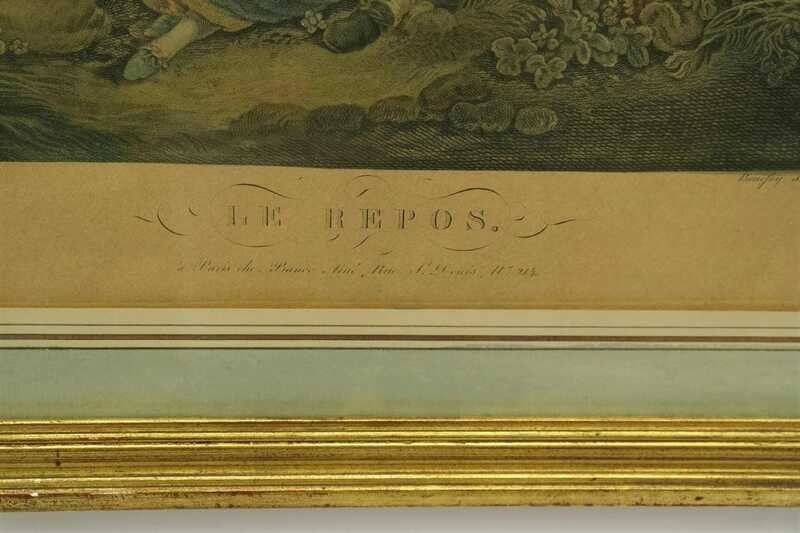 The engraving has a hand-coloured mounting board and has been framed under glass in a gold-tone wooden frame. The frame measures 20" high x 16" wide. (50cm x 41cm). The image measures 15" high x 11" wide. (38cm x 28cm). 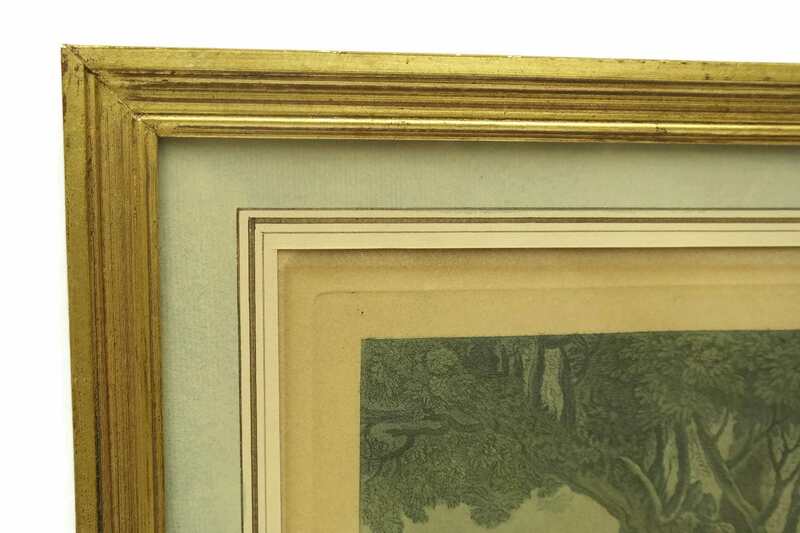 The antique engraving and frame are in good condition with age appropriate wear. There is light scratching to the surface of the glass.